PCC 'B' couldn't hold their unbeaten run of four games into this last fixture of their season today, and in losing, they relinquished third place in the division to High Wycombe. Phyllis Court hosted the final leg of a five day AC toiur by Watford CC today. Heavy rain put paid to afternoon activity but Raghu Iyer and Peter Haydon both won their morning games against visitors. 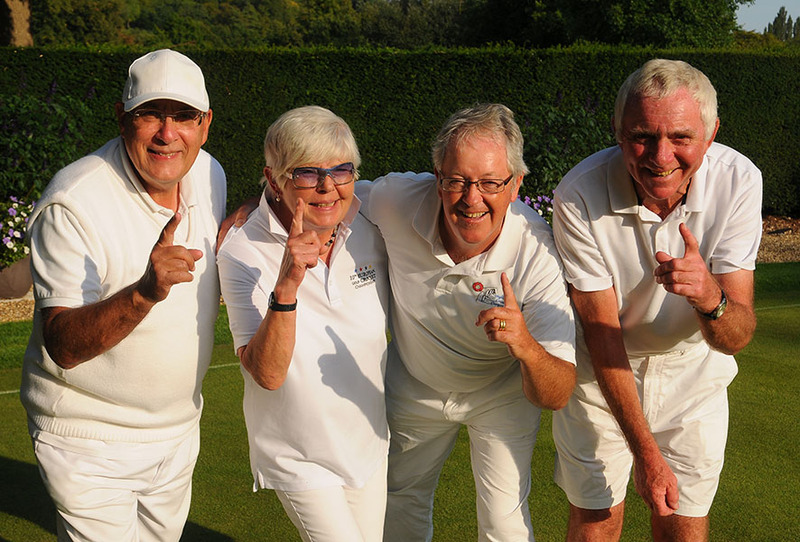 Phyllis Court 'C' came up just short and lost their Handicap League title decider to 5 – 7 Blewbury last week. It was a close-run thing with four of the seven games lost being by a single hoop point. Had any two of those close scores been the other way around, the title would have won not lost but winning is everything in competition matches and coming a close second counts for nought. Both pairs shared their doubels game one each meaning there was a tie at the half way stage, but only Robin Coates and Ralph Chambers could record victories in the two round of singes games, and this was where the match was lost. This was a disappointing end to an otherwise successful season in which the C were undefeated for five matches before coming off the rails on some poor courts facing Wingrave fortnight ago, and then this Blewbury result was a cruel blow. The only Phyllis Court team yet to complete their league programme is the top side Phyllis Court A, who can still win their Level Play League but will need victories over both Blewbury and High Wycombe to do so. The latter looks like being the title decider and both matches take place just three days apart later this month. PCC 'C': Robin Coates (6), Dianne Browne (6), Ralph Chambers (7), John Maguire (9). Thank you to the Phyllis Court Real Ale Apreciation Society for allowing the Croquet Club to join forces with them for this eveing's barbeque. 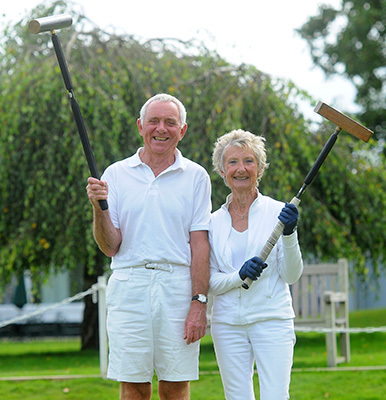 Many croquet members are jointly members of the RAAS (including thier chairman Jeff Smith) but others who are not were made very welcome too. It rained, like it always does but the RAAS chefs, helped out by our own Deon Melck (thank you Deon), did their usual great job. A lovely evening with good food and company. International Developement Squad member Andy Myers of Aldermaston eventually got the better of our Carole Jackson this evening, thereby securing a draw in this Level league match. The other half of the fixture was played four weeks ago when Chris Roberts beat the visitors Steve Woolnough. This completes our Level league programme in which we scored two draws and suffered two defeats. PCC AC 'Level': Carole Jackson (0), Chris Roberts (1). We hosted our annual 'Smokey's Cup' tournament this weekend, which is part of the National B-Level Series, and we were delighted when former club president R.S. 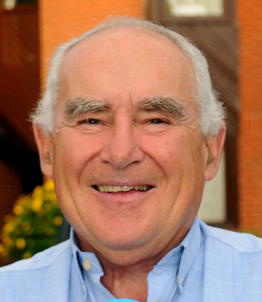 'Smokey' Eades now 97, was able to attend once again. 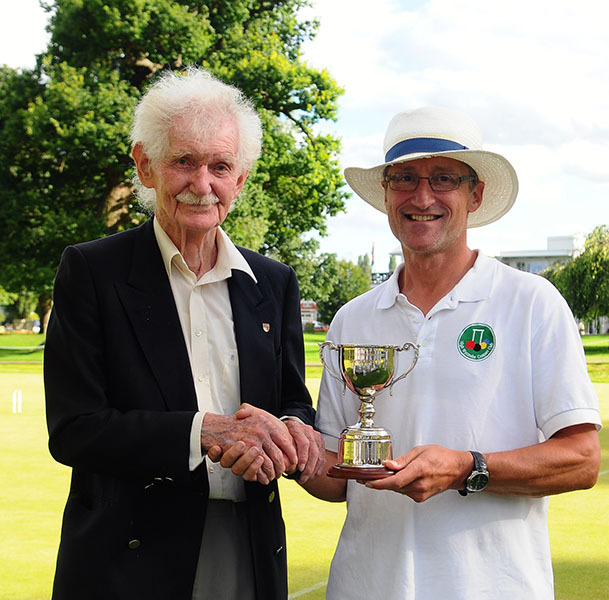 'Smokey', who joined Phyllis Court Croquet Club in 1957, presented his cup to High Wycombe's Keith Pound who tied on 11 game wins (out of 13) with two times winner Andrew Carpenter of Durham, but the former won by virtue of a better net hoops score. Raghu Iyer put in his best performance in this event with seven wins and reduced his handicap in the process. Hugh Crook matched his seeding with six wins. And, given the strength of the field, Colin Morgan also had a good result with four wins, even if one of them did dent clubmate Peperell's title hopes. Roger Goldring gave away a hoard of extra turns today at Hamptworth but still qualified from the Southern Area Final for the All England GC Handicap competition. He was the only one of our five potential qualifiers to make it to the National Final which will take place at Ramsgate CC on 16-17 September. Don Rutherford and Robin Coates failed to even start due to injury and illness respectively, Raghu Iyer with a poorly timed handicap reduction the just day before, found conceding the 'extra' extra turn too much, a fate that befell Peter Haydon at the London Area Final last week. Nevertheless, in Goldring, Phyllis Court have representation in the National Final for the first time in a couple of years. It is pleasing to be able to list the following Phyllis Court members how have qualified National Finals and, by doing so, will be getting our Club name even better known around the country. 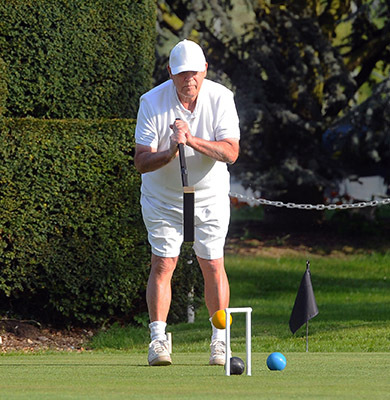 In Golf Croquet, first up is a busy three days for Chris Roberts and Roger Goldring who have both caught the GC Selectors' eye and, as last year, have been awarded places in the National 'Eights' at Hamptworth on 26-28 August (next weekend). Roberts' qualifying tournament win at Cheltenham earlier in the year, earns him a coveted start in GC English National Singles Championship at Nottingham on 16-17 September. Goldring won through the semi-final stage last weekend and will make his second appearance in the GC All England Handicap Final at Ramsgate on 16-17 September. And finally, Michael Christmas and Deon Melck came through our club tournament to become our representatives in the GC Grass Roots (8+) Final at Nottingham on 24 September. We have National representation at Association Croquet too, where Roberts will appear in the Selectors Weekend at Sidmouth on 8-10 September. And Raghu Iyer will be the first Phyllis Court player to appear in the AC All England Handicap Final at Surbiton on 16-17 September. 18 August - Big week ahead for PCC 'A' who need two big wins for the League Title. PCC 'A' need two big wins in their final two fixtures this week if they are to become League Champions. They will be hopeful of a resounding result away to Blewbury on Wednesday which will then set up a 'title decider' at home to High Wycombe on Friday. Hugh Wycombe are likely to be going onto that fixture ahead on 'match wins' so only a second big winning margin will bring the league title to Phyllis Court. Raymond Wood and Roger Goldring won the GC Open Doubles Tournament today which ended with a very close final with Ian and Delia Norris. This 19th Annual running of the Open Doubles for the Iain Lindsay Cups will be long remembered as the one that went on and on . .
With hindsight, timed games from the outset would have been a good idea, as it was, the pavilion clock had just crept past 7pm when Wood ran the winning hoop and punched the air with delight. His joy was not because of the longevity of the event but he had finally won the one Phyllis Court doubles title that had alluded him for so many years. For partner Roger Goldring, this was also a 'first' and so despite the hour it was drinks all round. Spare a thought for Ian and Delia Norris though, for they had been unbeaten all day, and indeed lead the final for the latter half of the game, yet it was the runners-up cups for them this time. Delia had stated to match Ian's accurate ball positioning and the pair got better and better with each game, but Wood's accuracy in that department today 'rolled back the years', and Goldring was on fire with his long distance clearances and hoop running. PCC 'A' got past a tricky Blewbury side today but dropped a couple of matches, so their 5 - 2 victory leaves us needing to beat High Wycombe by the same score on Friday. Chris Roberts and Ian Norris were unexpectedly beaten in the morning doubles having won the first game of three comfortably, but Roger Goldring and Helena Fensome's singles victories gave our side a 2-1 lead. Roberts won in quick time in his afternoon singles and Norris secured the important fourth win, also in straight games soon after, which secured the fixture result. Fensome lost out in a decider to an opponent who found some form from the morning, and Goldring was also taken to a third game by his oppo, but rounded off his decider fairly easily. High Wycombe will be league champions if they win on Friday. Winchester will be league champions if Phyllis Court win 4-3. Phyllis Court will be league champions if we win by 5-2 or better. Frankly the league couldn't be more finely poised if Hollywood had scripted it! 25 August - PCC 'A' beat High Wycombe 7 -0 to win their League! Needing a 5 -2 winning score line or better against high Wycombe today, to win only their second ever Level League title, was no eay task for our side. Yet we laid the foundations with a superb morning's croquet which yielded three match wins, which couldn't have been a better start! High Wycombe fielded three payers with the same '2' handicap and so cunningly selected the strongest of the trio (the rapidly improving Raouf Allim) at number 3 where, because of the match format, he could contribute more to the result. However, Helena Fensome foiled their plan with victory at the 13th hoop in her deciding game of three against Allim, which was a great result. That complimented Roger Goldring's singles win and the doubles success of Phyllis Court 1 & 2 Chris Roberts and Ian Norris. In the afternoon Fensome wrapped up her singles in straight games smartly which won the fixture for Phyllis Court, and soon afterwards, Norris' match win secured the crucial fifth win that won us the leauge. Goldring made it 6 - 0, again in straight games and eventually Roberts, who was cross to have lost his first game, duly won his match as well, to give Phyllis Court a flattering 7 - 0 score line, which was tough on the very competitive visitors. 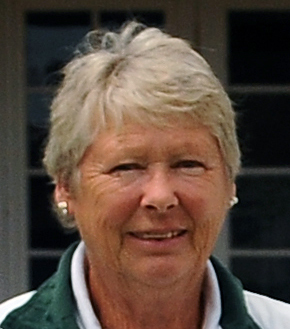 This is Phyllis Courts' second league title and comes on the back of their success in 2015. We fielded seven different players in this campaign and this league title is every bit down to those who were absent, as those who played today. Really well done everyone! PCC 'A' (today): Chris Roberts (-2), Ian Norris (-1), Roger Goldring (0), Helena Fensome (1). 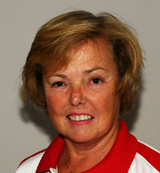 Also played for PCC 'A' in this sucessful campaign: David Hopkins (0), Carole Jackson (0), Frances Colman (2). Many thanks to the our members who turned out to support us today. We had supporters present from the first ball to the last and it was really great to have you all involved. All of our team appreciated you all being there - it meant a lot. Thank you also to High Wycombe Chairman, (our own) Richard Peperell, who treated all the players to river trip on his boat after the match. What a lovely end to a wonderful day. Success on the courts, an up-lift for our Club, and an early evening potter on the Thames with friends. It doesn't get much better than that. The big photo (above left) was taken by Richard Peperell. 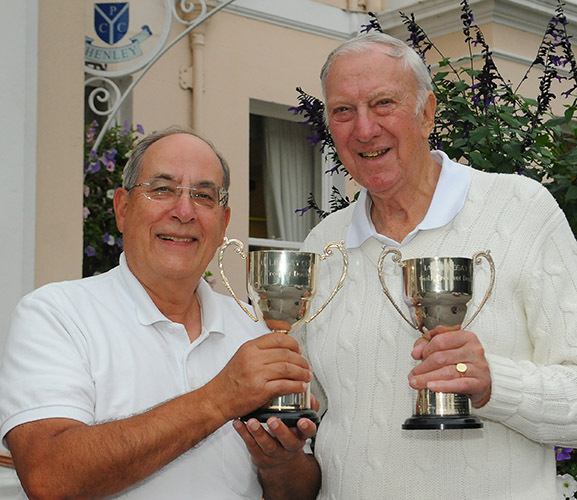 Team Norris won the Hurlingham GC Doubles Handicap for the third time in a row today! Going into the last round they were tied with one other pair on 4 wins from 5 games. Ian and Delia then added a cricial fifth victory which their rivals couldn't match, and that was enough to give them their hat-trick - jolly welll done both! Roger Goldring's strong season has been rewarded with a call-up to prestigious The English National Singles Championship final (for the 'Ascot Cup'). This means that he has had to stand-down for his place in the All England GC Handicap final, which he'd qualified for, because dates of the two national finals clash. So, instead of his planned trip to Ramsgate, Goldring will now join Chris Roberts at Nottingham in a couple of weeks time. This is excellent recognition Roger, well done!